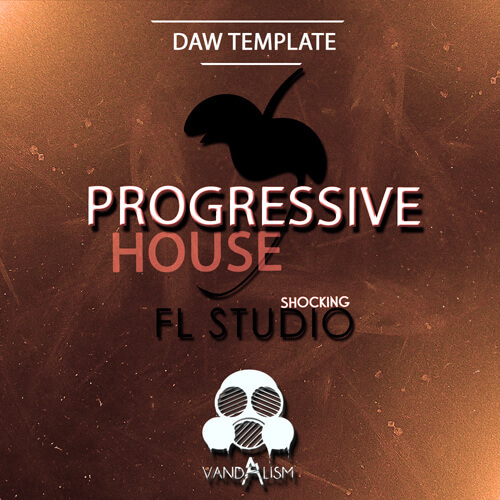 ‘Shocking FL Studio: Progressive House‘ is the first comprehensive FL Studio template from Vandalism. This tutorial shows you a cleverly designed track made with precision, power and with amazing sounds and drums. This project provides you perfectly selected samples and mixing techniques. This template will increase your knowledge in making Progressive bangers! ‘Shocking FL Studio: Progressive House’ is a project that includes a huge number of samples, sounds and effects. All material is prepared in coloured scheme, where you can easily find the part you want to learn about.